Clever plotline, and some interesting atmospherics as they traverse the deserted canals...the Welsh boxer is a good character too. 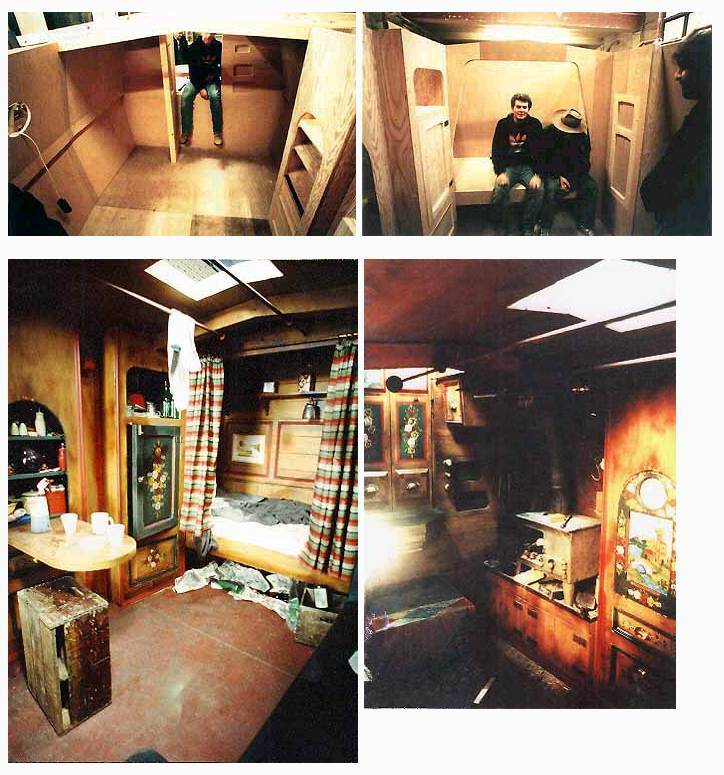 Here are some photos as seen on Mike Joyce's website which mentions that a real barge was too cramped to they had so build a special set for this one. I remember him playing a put upon snout in The Sweeney, being bullied into wishing George Carter happy birthday. More recently he's turned up in Doc Martin and I think he's had a prominent role as a Sontaran in modern day Doctor Who. Good actor and nice to see he's still working. Although I've seen this ep a few times now, it's only clicked the last few ep cos I laugh every time I see it near end - Dave's razzing up the canal never to be seen again in this ep and the copper says here's Donald Campbell or something - has me in stitches does any one know were he ends up? 'Big Dai', and Rabbit in Uneasy Rider played by the late great Brian Hibbard are my two favourite characters in the Ray years, I'm not sure if it's because they're fellow Welshmen or fantastic actors with a fantastic script?. I like to think its the latter. Watched this episode earlier today, still entertains, especially when Arthur is panicking at the Winchester and the transit turns up in a cloud of smoke, yet big Dai doesn't spot it! And 'aye aye, it's Donald Campbell' is a classic line! Agree! There are certain names that always get a bit of a giggle, a bit like Carter's "Who taught you to drive, Evel Knievel?" in The Sweeney's 'Stoppo Driver'. Glynn Edwards was of course totally into boating so I expect this was right up his street (or river). Just finished watching, for some reason I always had this down as a feature length episode. Lots of laughs in this one, I loved the character Dai in this and all his biblical quotes. Were the videos being shipped around in this episode, the same ones used in the final series episode 'The Immaculate Contraption'? Would anyone be daft enough to play Monopoly with Arthur? I am an renowned cheat at boardgames, but I still reckon Arthur would show me a thing or 3 in the cheating stakes. Arthur's disgust at the flavour of crisps brought back by Ray was gold also. I was left wondering how Dave got on with his speed boat, was he nicked by the river police? Was there any particular reason why this episode didn't air until Christmas Day? I'm not sure to be honest. It's not exactly got a Christmas feel to it at all but it's a few minutes longer than most of the other episodes from what I can remember. Christmas Special, althought the story wouldn't have anything to do with Christmas. I think they knew Minder was a winner in the ratings so (like 'Around The Corner') kept one episode back for showing at Christmas in order to get the viewers in. Who remembers Big Dai from the Nuts in May tv play? One of my biggest regrets about Minder is that they did not make a Christmas themed episode with Arthur doing some Xmas related scams and everyone ending up in the Winchester full of Christmas decorations. Big Dai is a great character and it was fun to see Trevor Cooper turn up in Minder. Arthur is so bent he cheats at Monopoly! He probley cheats at a simple game like checkers as well. Ray has a nice moment when he finally blows his top and tells Arthur off. Gary Webster is very good in that scene because it's obvious Ray really means what he's saying and regrets saying it at the same time. A fine bit of characterization for Ray. Series Eight was overall uneven for me but it certainly ended on a high note with two superior episodes in a row. I think that is a fair assessment of series 8, but trust me you will be in for a treat with 9 & 10, some real stand out episodes to be found. I have 9 & 10 and am looking forward to watching them. It's strange looking at two tones shop now, as although the Ray episodes still feel "modern" you look at the appliances in his shop, and it looks very dated, cassette players, VCRs, bulky t.v's ect. There is a shop in Jersey a bit like this, which has actual film cameras in the window complete with out of date Kodak film and twin cassette deck stereos! Forgot this was a Christmas episode.Like the monopoly scene.Gave it average. 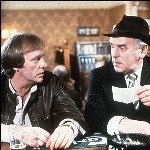 Some funny moments but I personally feel the storyline is one of the most ridiculous in minder. I think this was off the beaten track in the usual road of minder. Also not much reflection on Christmas. 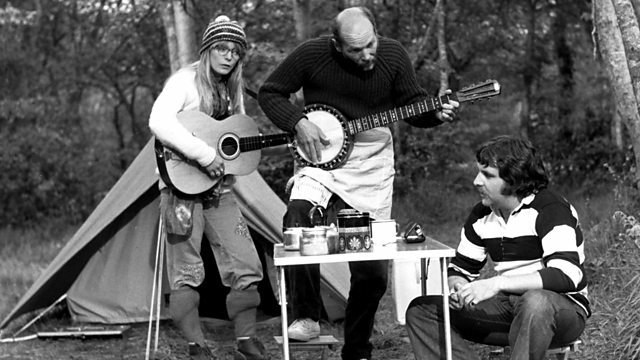 Nevertheless, it's not one of the poorest, in fact it's quite an enjoyable episode. After watching this episode, this is one of the few Ray Daley episodes that I've seen more than once. It's probably about the third time and still think it falls short of classic Minder episodes. The predictable knackered van, a violent welshman (never knew they existed) and Dave doing his James Bond bit on the speed boat. However, some of the dialogue keeps it (ahem) afloat. Not one of the best but worth the occasional outing. One can only assume Dave nicked the boat or the boat got him nicked. A top episode of the Ray era. Lots of great dialogue and some colorful characters. I watched this today as I hadn't seen it for a number of years. I had recorded it from television on original transmission on Christmas Day in 1991 but only had the latter half of it for some reason so I'm not overly familiar with the entire plot, it was far better than I remembered. It follows a format often used in UK TV show Xmas specials in that they don't have to be of a Christmas theme but often take the main characters out of their normal area or lives, this was a common theme in the 90's on shows like Birds Of A Feather, Only Fools & Horses and One Foot In the Grave, yes some of the Xmas specials focused on Xmas but many of them didn't. I'd always remembered the bit about the flavored crisps probably because my father never liked the strange flavors and only really liked Ready Salted or as he and many others including myself would say 'plain'. Arthur mentions that the Monopoly set is an old one and I think he's right as on the Monopoly sets I've played on the Chance cards are yellow and the Community Chest cards are pink but on this set the Community Chest cards are yellow and the Chance cards are red.